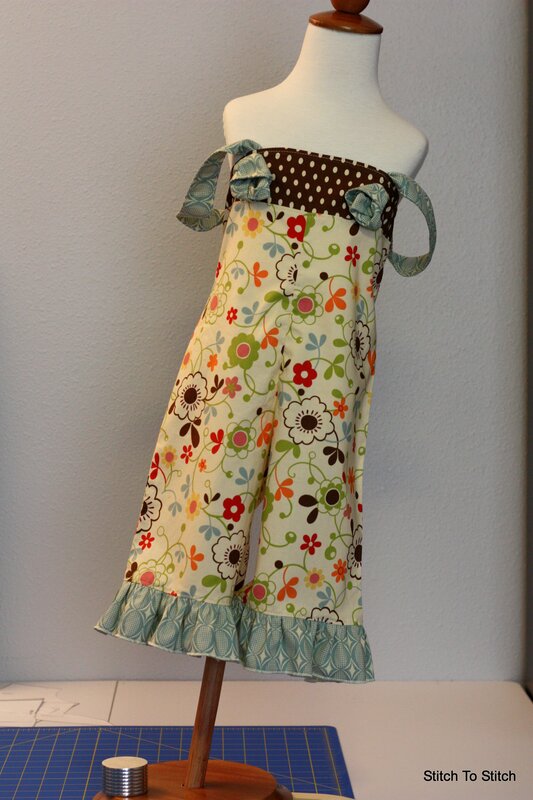 Do you have an item you’ve made with your favorite Riley Blake fabrics? Think it’s good enough to win a contest? If so, check out this great contest sponsored by Cutting Corners College! 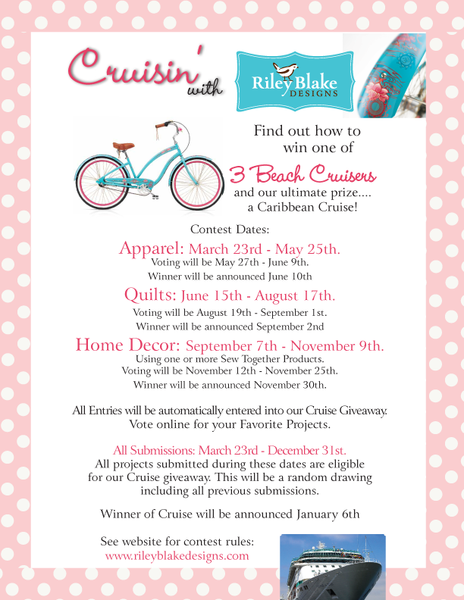 ALL entries will be entered into a random drawing for their Cruise Giveaway! In a rare event, last Saturday I took the day off of sewing for someone else and actually sat down and worked on a project for myself. Myself! 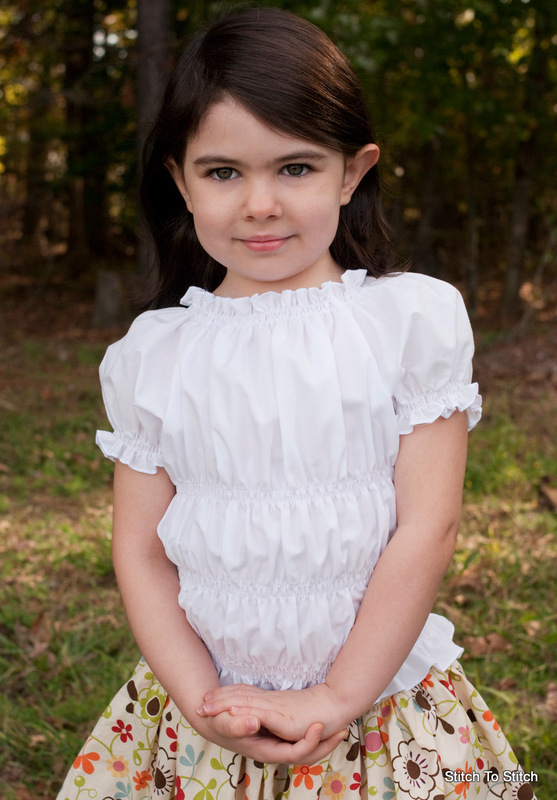 (And truth be told, I’ve sewn stuff for both girls this week too.) My husband could hardly believe that I’d spent so much time doing something for no one other than me. When it was all said and done it felt wonderful. I need to do projects for myself more often. About a month ago I splurged and bought myself a new camera. As soon as I started playing with it I knew I had to dress it up a little. That plain, oh-so-boring black strap that comes standard just wasn’t going to cut it with this girl. And I knew that if I made something pretty and maybe even ruffly my husband would be less inclined to want to play with MY camera. Lucky for me I had a great tutorial already bookmarked on my computer. 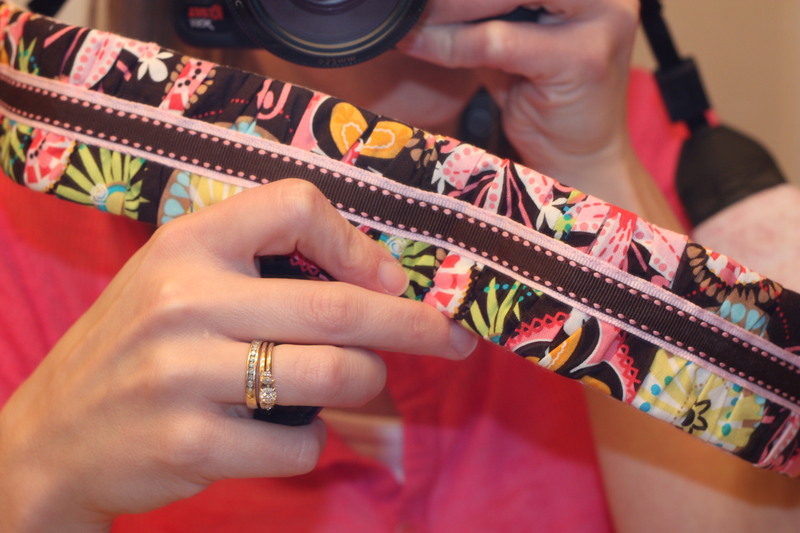 Lindsay over at The Cottage Home shows you how to make a fabulous Gathered Camera Strap Cover. I had won some fabric in a giveaway last summer/fall that was still sitting in my fabric stash, waiting for the perfect project. I deemed it the perfect fabric for this project. As a way to usher in the warm weather and beautiful days, Stitch To Stitch is offering a fabulous spring promotion. This promotional price includes shipping so there is no extra shipping charges for the shirt. 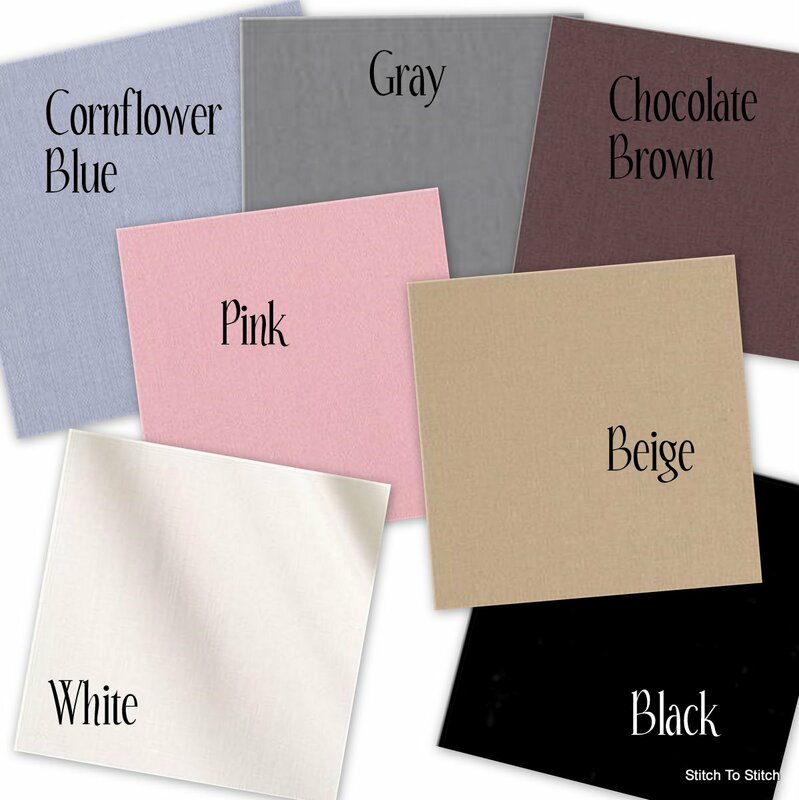 You can choose any of the colors I have available (white, black, chocolate brown, gray, beige, cornflower blue or pink) or request a custom color. If I can find a matching color locally I’ll gladly make it! 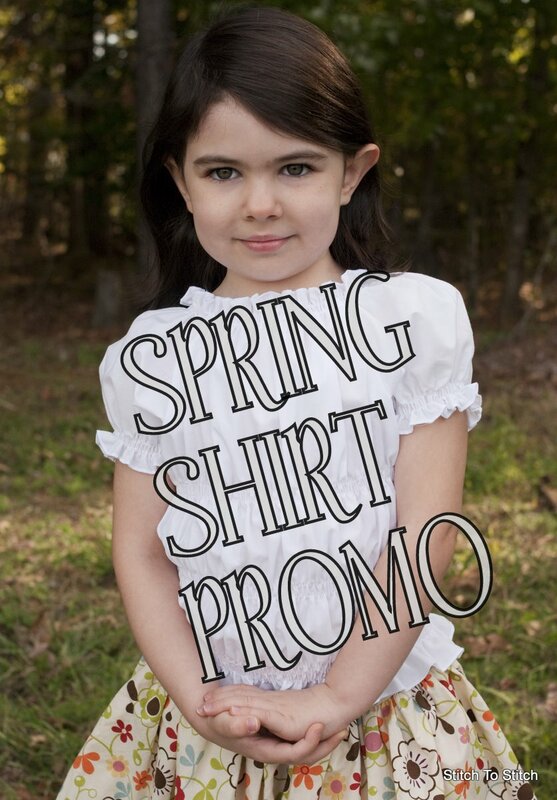 This is a savings of almost 50% on these adorable shirred peasant shirts so take advantage of it before this promo expires! 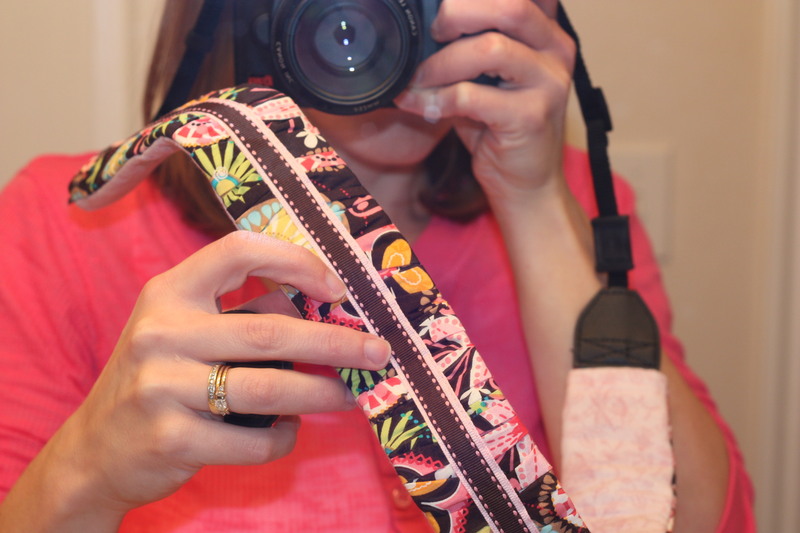 Today I’m posting over on the blog for the Idaho Etsy Team. It’s a copy of my Pretty Packages post from last week but head on over there and take a look around! Head over to tidbits to get Cami’s tutorial for this “Business in the Front – Party in the Back” knit dress. So very cute!